I haven't been able to find a proper report for this bug in here, so I'll post one. Usually, a game refresh is all it takes to bring things back to normal. 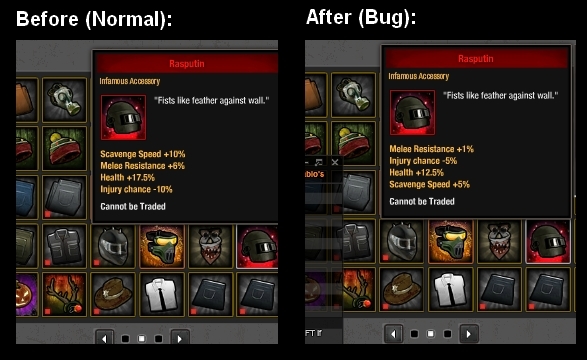 These stat changes are effective (that is, the stats are effectively reduced and it's not just a display error). 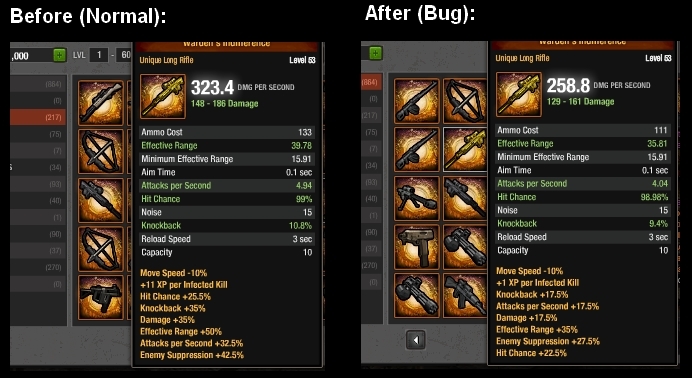 it also affects passive gear, crafted clothing, and items shown in chat. It does not affect non-crafted clothing as far as I know, but I wasn't able to confirm if it affects books, components or active gear. This error only applied to Crafting Kits and not on weapons, gear or clothings (I couldn't test it in other items). I have had this as well. I was about to do the island, when I noticed all my resistance stats dropped from 70 to 55 or something. I reloaded the game and everything was fine. I knew it affected weapons and gear, but I didn't know it affected clothing as well. That happened to me too. I will publish images of similar errors with the one above. I've only been able to take these pictures so far. It looks like something in the effects / item mods table failed to load from the server for some reason. I'd suggest clearing your cache and refreshing if it occurs.